While new technology brings forth exciting gadgets that can aid private investigators, sometimes the most valuable investigation technique is keeping it simple. For current and aspiring private investigators, the following case exemplifies just how important it is to rely on old fashioned investigative work. Read on to learn how the Diligence International Group, LLC (DI Group) unraveled the truth about a man insurance companies had believed to be dead. Shortly thereafter, the Jacksonville furniture store that Lantigua owned, Circle K Furniture, shuttered its doors, and Lantigua’s family set out to collect on seven life insurance policies, totaling over a million dollars. Two of the policies had been paid out before suspicion grew. Headed by Richard Marquez, a private investigator with over 35 years’ experience in the field, the DI Group regularly handled insurance cases like this one and was well prepared to take on the case. When the DI Group was first contacted by insurance companies to investigate the case of Jose Lantigua, the initial research was conducted from the Dallas, Texas office. But as the investigation grew more complicated, Marquez ended up sending a team that included some of his best investigators, including the DI Group’s managing director of South America, which is based in Colombia, to the coast of Venezuela. It was August 2013, when private investigators at Diligence International Group received what appeared to be a typical case investigating five of the seven life insurance claims for Jose Lantigua. For private investigators like the DI Group, it’s simply part of the normal review process for insurance companies to investigate an insurance policy when a person dies outside of the U.S. That process includes validating the insurance claim by substantiating documentation and conducting interviews of witnesses and individuals associated with the person in question. 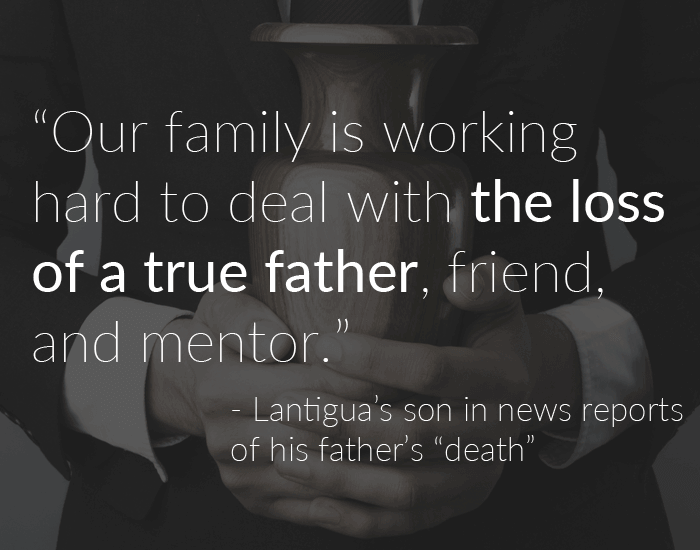 Richard Marquez explained in a phone interview that “Knowing what to expect is very instrumental to a successful investigation.” And so, the team of investigators began by reviewing the documentation that was provided to certify that Lantigua had died. What they found was authentic documentation that showed Lantigua had died in a small town on the coast of Venezuela. 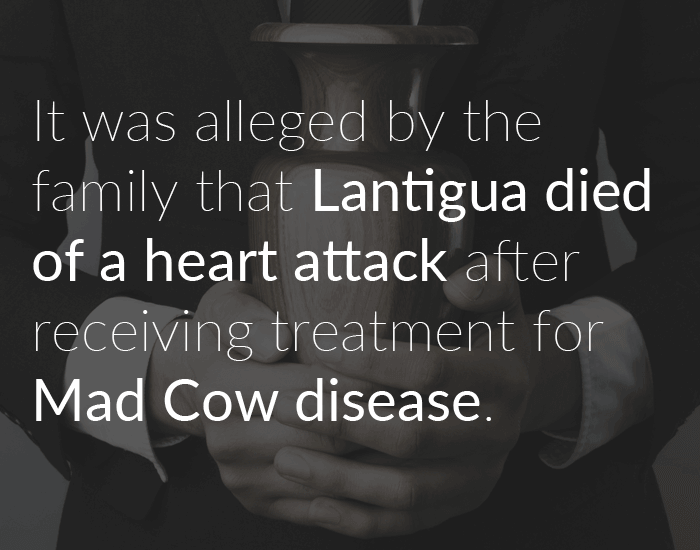 Beyond the authentic documentation, the manner of death was anything but ambiguous — it was alleged by the family that Lantigua died of a heart attack after receiving treatment for Mad Cow disease. And when the investigators dug deeper, they found real signatures of the doctor who had declared Lantigua dead and the manager of the cremation service, both of whom actually existed. On the surface, it appeared as though everything was in place: the right documentation, real signatures, and a grieving family, which is likely why two of the seven insurance companies had paid out their policies. But it was a number of small inconsistencies that only the trained eye of a skilled, trained private investigator would notice that led Marquez and his team to further investigate the claim. After reviewing the documentation alleging Jose Lantigua’s death, which Marquez said “looked quite convincing” (after all, it had fooled two out of seven insurance companies), Marquez’s team determined that Lantigua had indeed secured authentic documentation. However, the seals and stamps on the documentation were fabricated. It was close, but not close enough. As the private investigators dug further, they uncovered an unlikely geographic path that Lantigua’s dead body would have taken. Things weren’t adding up, leaving a number of unanswered questions. Furthermore, Lantigua’s financial circumstances were suspicious with the furniture store in peril and the sheer amount and number of the life insurance policies. These findings precipitated the DI group to launch a full-scale investigation into the death of Jose Lantigua in Venezuela. The conditions were anything but favorable for on-location investigative work, with Venezuela being in the midst of violent protests and riots, but the DI Group had a job to do. A small team of investigators traveled to Venezuela to conduct interviews, validate claims, coordinate logistics, and get a real feel for the likelihood that Lantigua had died there. Marquez explained that “The doctor was about 30km away from the town, and then 250km away was the crematorium in Maturin. It didn’t really add up.” Typically, services would be a bit closer, and people would remember it happening, especially in a small town. When they arrived in Venezuela, they found that the death of Jose Lantigua had gone unnoticed by locals, which seemed improbable. 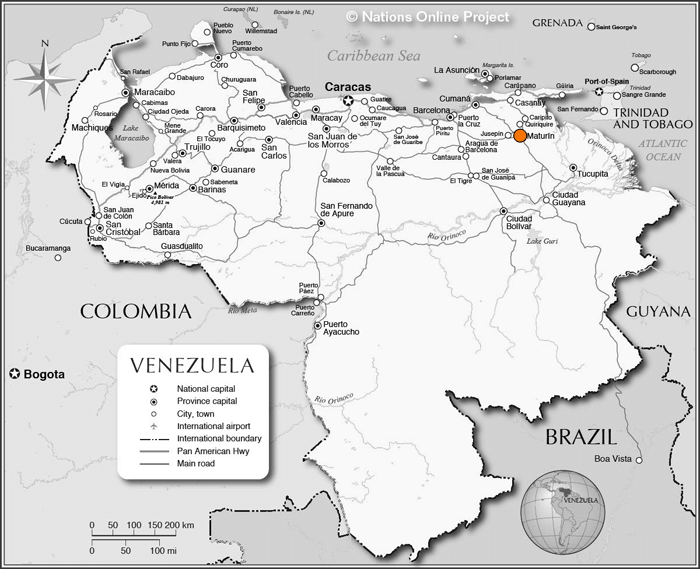 Maturin (shown as an orange dot) is 250km from where Lantigua "died"
Despite less than favorable conditions, the investigative team eventually got the critical interviews that they needed, interviewing the two employees who worked at the small crematorium and the doctor who had declared Lantigua dead. The doctor who had certified the death admitted that he had not seen the corpse, and the cremation manager finally admitted that the cremation never happened after being confronted with the discrepancies that the DI Group found with the documentation. 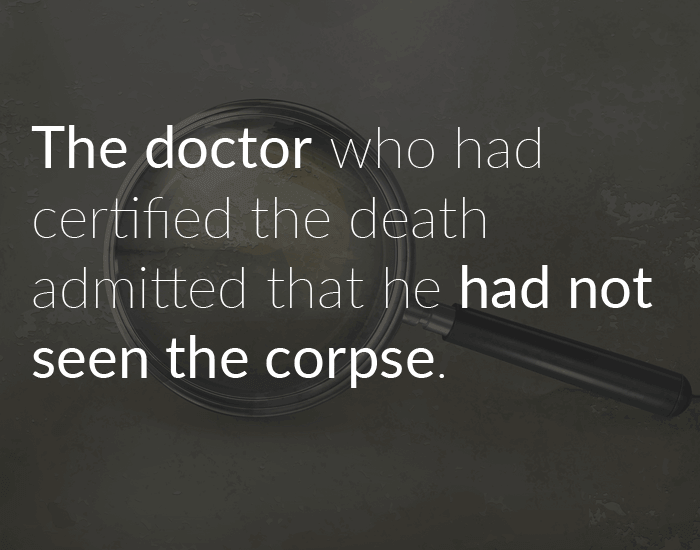 Although it took several attempts to get the truth from both the doctor and the cremation manager, the investigators were successful in getting the information they needed. With those confessions, the DI Group had confirmation that Jose Lantigua was not dead: “We were able to prove that the documents were inaccurate, and the death did not occur as the family had alleged.” According to Marquez, the investigation was one of the more complicated, longer cases they’ve had, with the investigation process taking approximately two to three months to complete. It is unclear how Lantigua stole Ernest Allen Willis’s identity, but a sworn affidavit shows that in September 2014, Lantigua applied for a North Carolina license at the North Carolina DMV under the name of Ernest Allen Willis, using a New York license and birth certificate, both bearing the name Ernest Allen Willis, as supporting documents. He was issued a North Carolina license. Later that same year in November, Lantigua applied for a U.S. Passport using Ernest Allen Willis’s identity — and that is where things began to fall apart. Because the real Ernest Allen Willis had already applied for a U.S. passport and obtained one in 1999, the Charleston, North Carolina Passport Center grew suspicious and noted several inconsistencies between the two identities. The Charleston Passport Center then used facial recognition software to search a U.S. Department of State database for a match to the picture Lantigua submitted for the new passport under the identify of Ernest Allen Willis. A match was made to Jose Salvador Lantigua, and further investigation showed that it had been alleged that he had faked his own death. The case was passed on the the U.S. Diplomatic Security Service for further investigation and action. 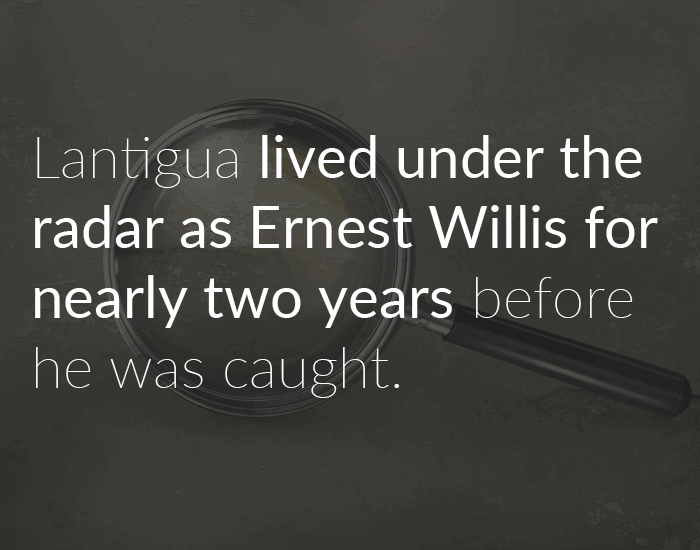 With Jose Lantigua’s “death” occurring in April 2013, he managed to live under the radar as Ernest Willis for nearly two years before he was caught. 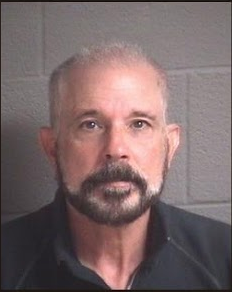 Special Agents of the U.S. State Department arrested Lantigua alongside his wife on March 23, 2015 in Bumcombe County, North Carolina with, according to court documents, “a poorly dyed beard” and a “brown toupee.” Court documents also showed that Lantigua waived his Miranda Rights, stating, “It’s been a long time since I signed my true name.” He has been held in federal custody without bond while awaiting court proceedings. Currently, Lantigua is not only faced with the debt litigation from his failed business in Florida, as well as litigation from the insurance companies he allegedly defrauded, but he is also facing a number of federal criminal charges. A formal criminal complaint was filed with the United States District Court for the Western District of North Carolina on March 23, 2015, charging Lantigua with the following: falsifying passport information; fraud and false statements; aggravated identity theft; and willfully, knowingly, and with the intent to deceive, uses a Social Security account number. He was indicted on April 7th, and the case is ongoing. It’s unclear what, exactly, Jose Lantigua was planning or what he was doing while eluding police. What is clear, however, is that Lantigua’s wife, Daphne Simpson, is embroiled in the scheme and facing similar charges. The reality is that without the work of the team of investigators at the DI Group, it’s probable that Jose Lantigua could have gotten away. But with excellent investigative instincts coupled old-fashioned investigative work, the DI Group was able to serve their clients’ needs and potentially bring a man who attempted to defraud banks and insurance companies of millions of dollars to justice. With contacts and representation globally, the DI Group has been able to conduct investigations in places like Syria, Yemen, and China, but specializes in Latin America. Marquez explained that his firm works within the life insurance investigation niche, and it absolutely requires a special skill to detect and catch these frauds. Marquez stated that “knowing what’s important to the clients, along with the knowledge of the industry policies and provisions,” is what makes his business unique. The case of Jose Lantigua will certainly be one to be remembered for years to come.